Sandalwood is the essence of Indian traditions. Its sweet smell can calm even the most stressed mind. 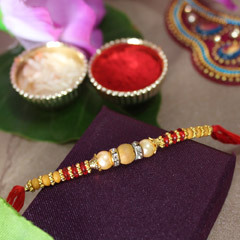 No wonder a rakhi carved out of sandalwood lift the soul of the receiver. Yes, we are talking about your brother. 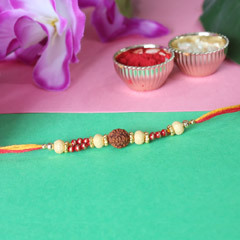 Sisters, gift your brothers these Sandalwood rakhis from among our range and help him forget his troubles and thank God for giving him sisters like you. Sandalwood rakhis in our collection are of the best quality sandalwood and we assure you that they will make your brother calmer than before. 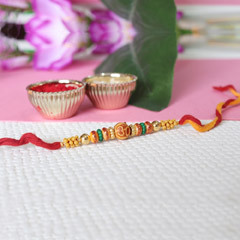 He will forget about the problems that he is facing and get reminded of the sweet sister he has who wants him to be happy on Raksha Bandhan. 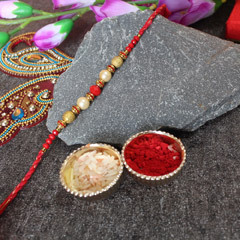 These rakhis from our array will let your brother know that you think and care about him. Throw in a card and some gifts and let him know how much you wish you could be there with him. 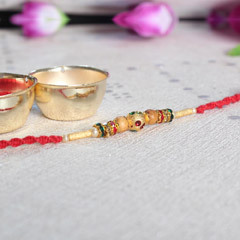 Not actual bridges, of course, but we bridge the distance between you and your brother that two different cities or even countries have created by taking the rakhi you want to gift your brother right away to him. We do this without any delay and for free. 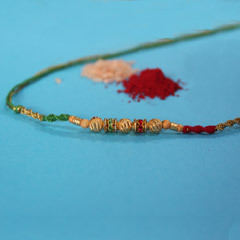 Sendrakhi.com has been sending across loads of sandalwood rakhis lately as its not only unique but also has therapeutic effects on the wearer.